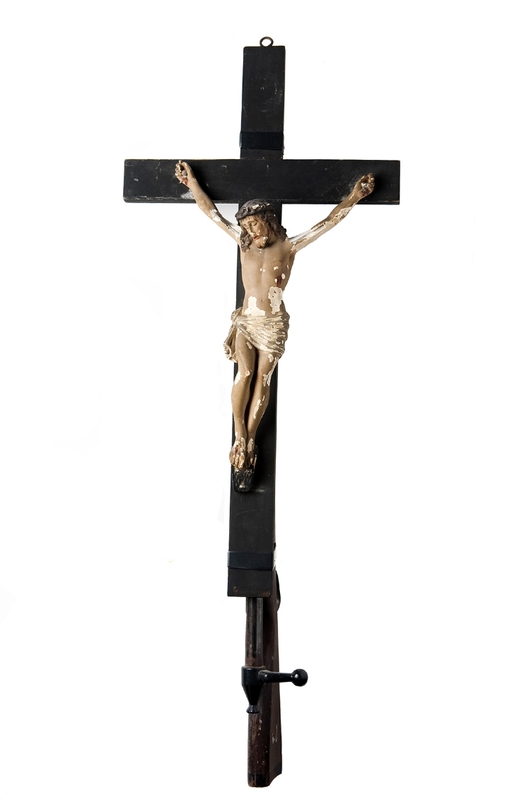 This sculpture depicts a crucified Jesus Christ strapped to the top of an American muscle car. It should remind the viewer of cliché images of a hunter’s freshly killed deer tied to the roof of the car. The mix of American —muscle cars with an iconic religious image— presents the artist’s critical portrait of some people's notions of middle America. 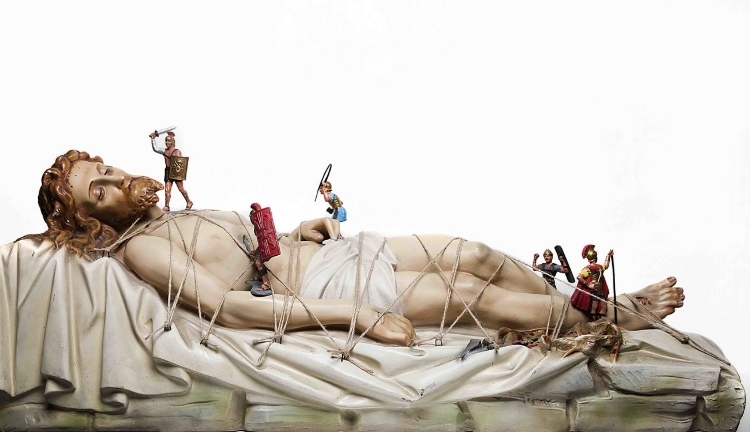 Part of the religious series, the Gulliver sculpture is constructed appropriating a religious figure from the beginning of the century who depicts the death of Jesus Christ. The artist adds a series of miniature ropes to preexisting figure that tie the figure down similar to the illustrations in the children’s book Gulliver’s Travels. With the help of some small Roman figurines that appear to be tying these ropes to the sleeping giant, the sculpture becomes a blurred line between a sacred religious figure with infinite powers and a fantasy character from a fairytale book. The sculpture questions the difference between the fairytale character and the religious one.